Thankful to be able to do a review of Out of the Ordinary, book 2 in the Apart From the Crowd series. Ok, so here's a little funny to start this off. 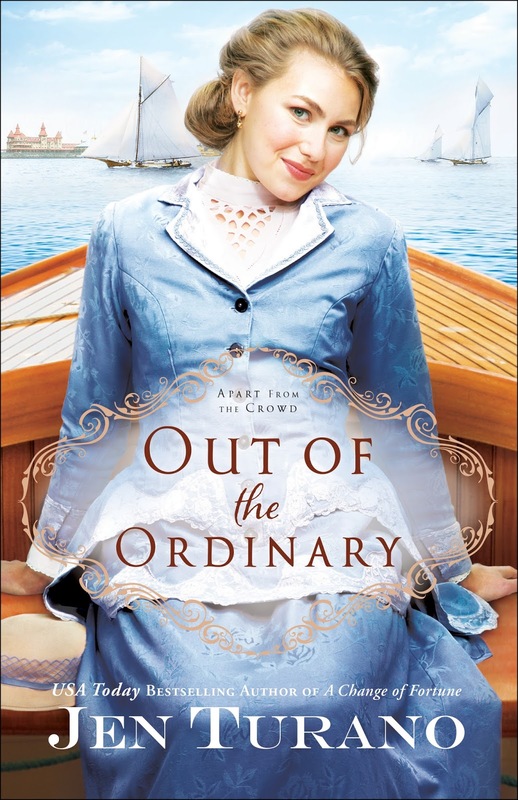 When I first started reading Out of the Ordinary, I had been so incredibly busy I couldn't figure out why the characters seemed familiar. By the time I was done with chapter 1 I realized this is the follow up book to Behind the Scenes. I remembered how excited I'd been to know we were going to get to have a story with Gertrude! I once again loved getting to know the characters better, and I'd say by chapter 3 I wasn't sure who's story I wanted to be continued next: Temperance, Edwina, Margaret, Adelaide...I just wasn't sure! I can't believe how much I laughed out loud during the story. I think at the ends of chapter 7 & 8 cracked me up. The characters are so enjoyable, except for Clementine Flowerdew! What a stinker. It was so easy to be pulled into the story and feel as though you were surrounded by the characters. And hello, Harrison is one of my favorite male characters ever! We get to know him better and become privy to why he chooses the outlandish outfits he wears. The worst part about reading this book was finishing it, knowing I have to wait until next year for book 3. It's going to feel like for-eh-ver! I have got to say, I think this is probably my favorite book of 2017! Shhh don't tell the other books I read this year.